MOC is an acronym that stands for “My Own Creation” and is commonly used among the Lego community to differentiate an individual or group project with an official Lego set. The Lego community often abbreviates to shorten the length of commonly used terms and phrases. Acronyms are not an uncommon thing for people to use to shorten the length of speech, but the acronyms that are used by Lego fans can often get confusing, especially for those hearing them for the first time. 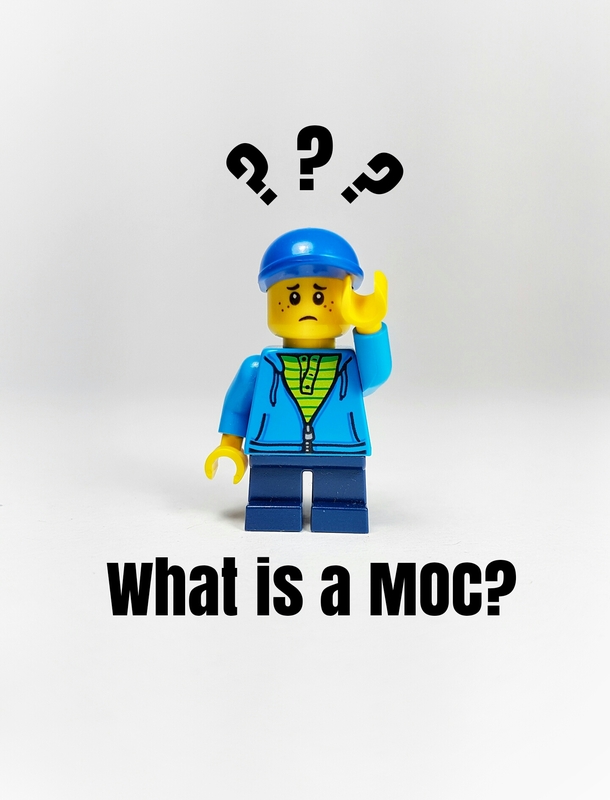 What is a Lego MOC? What is a sigfig? What is SNOT bricking? The Lego community has definitely been creative when it comes to their abbreviations, sometimes to the point where other people can’t understand what they’re saying. So I have compiled a list of some of the most commonly used Lego terms, so that if you’re ever stuck wondering what I, or any other Lego hobbyist is saying you can come back and “translate” it from Lego into English! Adult Fan Of Lego – Pretty self explanatory, but this an adult who still enjoys building and collecting Lego. Other related definitions are TFOL – Teen Fan Of Lego, and also KFOL – Kid Fan Of Lego. 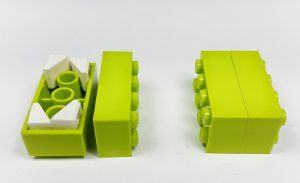 Big Ugly Rock Piece – This is an actual term recognized in the Lego community to identify a certain grey Lego rock piece. 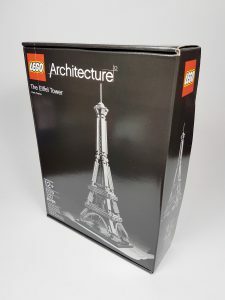 Brand New In Box – A term used to describe the condition of a Lego set, usually when purchasing it second hand after it’s taken off the shelf. 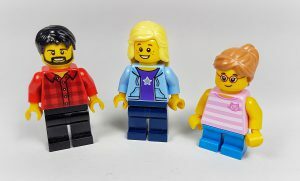 Lego User Group – A group of Lego hobbyists, either local or international, who share in the same interests that work and interact with each other on the topic of Lego. It is common to be part of more than one LUG. Studs Not On Top – Used to describe a building style in which the round studs on the top of the bricks are not facing upwards in the traditional fashion. Studs Not In a Row – A term closely related to SNOT bricking as bricks are placed together in nontraditional methods, such as two interlocking plates at 90 degrees. 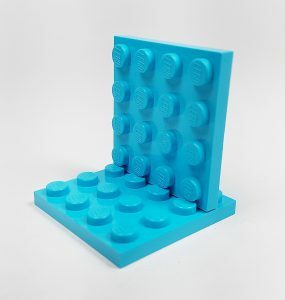 This is different from SNOT bricking as the studs are not necessarily sideways, rather interlocking in “illegal” methods. Lego Digital Designer – Lego’s digital designing program that was released to be able to design and edit builds using the computer. Not an acronym, instead a term used to describe a copy-cat version of Lego. These brands (without naming names) are usually cheap in quality and price and are incomparable to the true Lego product. Always be careful of clones and fake Lego as there is increasingly more of it in circulation. The more commonly used term for a Lego person. Collectible Mini-Figure – A term to describe Lego’s series of collectible mini-figures. 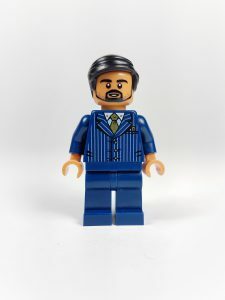 Signature – Mini-Figure – Used to describe a mini-figure that resembles or represents yourself or your Lego social media accounts. 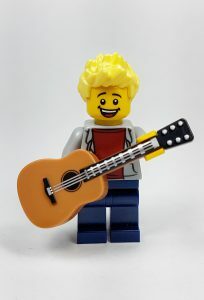 Bricklink’s version of LDD. 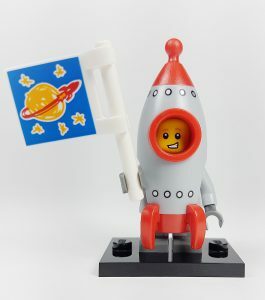 Bricklink is the number one online marketplace for used Lego and products. A term used to describe “criminal” building methods in which pieces like plates are shoved in the back of bricks to hold two bricks together back to back. 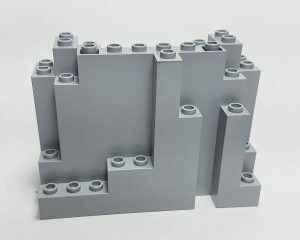 There are many ways of illegal building, and is commonly used in micro-MOCs to create features that are otherwise impossible at such a small scale. Ultimate Collectors Series – A series of Lego sets that are designed as display models rather than playing sets. 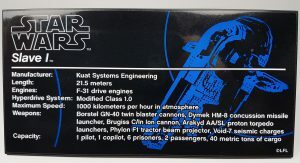 Most commonly used for the Star Wars theme, UCS has been extremely popular for many years with the most recent UCS set (the millennium Falcon) being the largest set ever released by Lego. I hope that these definitions helped and maybe clarified some of the strange language you might have heard watching Lego videos or reading Lego news. There are many other terms too, but these are the main ones that you will most commonly hear. If I did miss anything important or noteworthy, leave a comment and let me know! Very interesting. I had no clue that the lego world had so many acronyms. It can surely be useful for TFOL ( Teens fan of Lego ) 😉 that I’ve just learned in your article. My godson is a true fan of legos. He’s coming to an age where he will start going on blogs and shop himself for his hobby. I will suggest him your blog. There will be lots of content for him to browse! I have only published maybe a fifth of the Lego content I actually have, and am constantly working on adding more and more. Hopefully he’ll stop in at some point! You might be able to catch him off guard by using some of these terms! A very interesting and good read. I had no idea these terms existed. Thanks for enlightening me. I might be able to impress my son in the future. I am only just starting to get acquainted with the ever expanding Lego vocabulary. In this post I have only scraped the surface of terms Lego hobbyists use. It has become something of its own language, you could say. Thank you so much for this easy to understand Lego terminology post. My son is a Lego diehard and everyone knows that purchasing Lego as a present for him will mean they never go wrong. Now I will have a fighting chance of understanding what he is saying when he talks about his Lego thanks to your post! You’re welcome! I’m glad I could clarify some things for you. Lego lingo can be complicated at times. It’s a simple toy but the Lego community has taken it to a whole new level. I’m glad to hear your son is such a Lego fan! Lego inspires creativity and out of the box thinking. It’s a great toy as well as an educational building block! Thank you for sharing your know on Lego terms…very interesting. My son has always loved Lego’s he has boxes of them. His builds are all in various states. He is 20 now and is still messing around with Lego’s…I guess that makes him AFOL. That is funny I am going to share that with him! I will also share your web sites address with him so he can stop by and check it out! Thanks for the education in Lego speak! Hey that’s great! I have a lot of people commenting that their kids or grand kids play with Lego. I love hearing that lots of kids continue to be creative with Lego, it has always been a great passion of mine, even since I was a little kid. Thanks for the comment! I hope your son likes my work and can find some inspiration for his own projects! Thanks for enlightening me on these terms. I have a boy 12 and a girl 13 and they have tons of lego. I will put them onto your website, they will love it. They still have a few BNIBs. That’s great! 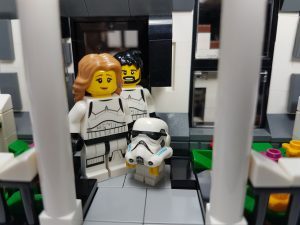 My goal with Brickstogo is to create inspiration for people of all ages. Lego is an amazing hobby and has a long list of benefits from relieving stress, to educating. As a parent you should encourage Lego! I’m thankful to this day that my parents supported my interest. And let’s be honest, it beats video games! Wow! Thanks so much for this delightful and informative article on Lego terminology. I had no idea that Lego was so involved and is quite the hobby for adults not just kids. I love the idea of the Lego Digital Designer. Does this program allow you to build any kind of structure you can think of? Yes absolutely! You can build anything you could normally build with physical pieces. It’s great for designing without worrying about having enough pieces! Plus there’s a way to generate a complete parts list for your creation so you can either gather all the pieces you need, or order them from either Bricklink, or the Lego shop itself. The only downside is that they stopped updating the program, so it doesn’t feature any newly designed Lego pieces. This is unfortunate, and can be a bummer when a piece you need isn’t actually on the program! But regardless it’s still an awesome program that I use all the time. Is there something in particular you maybe wanted to build, but don’t have the Lego to do so?